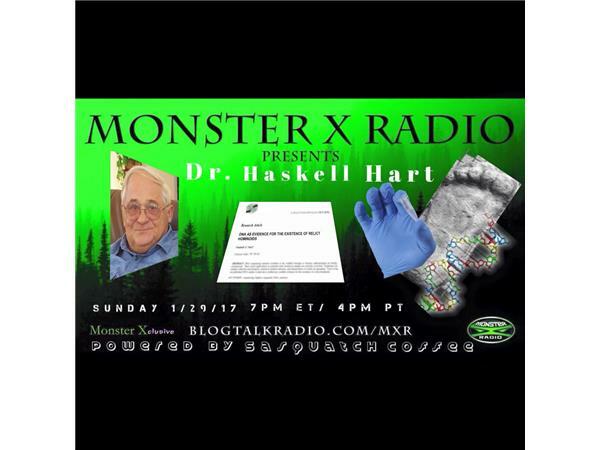 Monster X Radio welcomes special guest Dr. Haskell Hart. Join us as we discuss Bigfoot and the DNA conundrum. Dr. Haskell V. Hart holds a PhD in chemistry from Harvard University and has a physical, inorganic, and analytical chemistry research background. He was Associate Professor of Chemistry, University of North Carolina at Wilmington, after which he was Senior Staff Research Chemist and Research Manager at Shell Chemicals. At Shell he both conducted analytical research and managed various analytical departments. His research interests have included analytical applications of x-ray diffraction, electron diffraction (two database patents), and gas chromatography-mass spectrometry. Since his retirement, he has focused on long-range detectors and application of DNA sequencing to species identification, especially relict hominoid candidates. His blog, www.bigfootclaims.blogspot.com , contains over thirty articles on this subject and related issues. Born in Scotland, Shane Corson's interest in cryptids began at an early age. Fate brought him to Oregon where he dove headfirst into the subject of Bigfoot. His 2011 sighting in the Mt. Hood National Forest served to fuel the passion of his pursuit. He is a core member of the TFRG as well as the Olympic Project www.olympicproject.com.